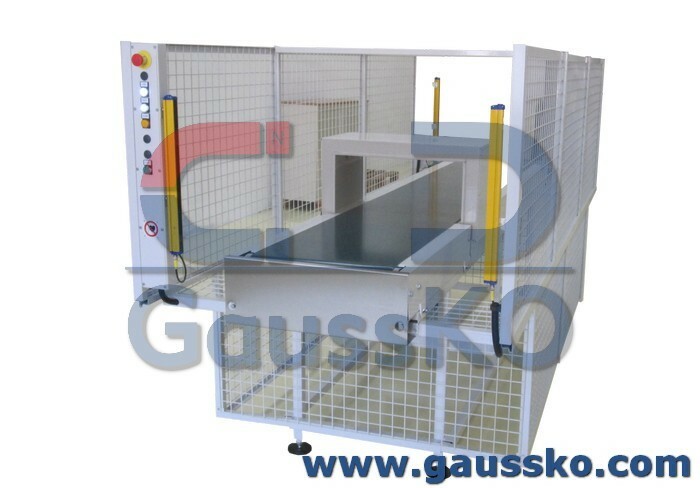 Degausser for aircraft components with automatic conveyor belt. The protective grids have been installed according actual safaty standards and to assure that the degaussing cycle conforms to the standards. Degausser for aircraft components.